If you’ve read the Steve Jobs biography by Walter Isaacson, you may remember that Apple’s board was initially very hesitant to give Jobs a green light about creating Apple’s retail stores. A decade later, the stores have been an amazing success with hundreds of outlets around the world. They have also become the most profitable retail outlets in America. Research company RetailSails ranked the country’s top retailers using the common retail metric of annual sales per square foot. Apple nabbed the top spot with sales averaging $5,647 per foot – nearly double high-end jeweler Tiffany and Co., which came in a distant second. Outside of Apple, all other companies in the top five can be considered luxury goods companies including (in order of ranking): Tiffany, Coach, Lululemon Athletica, and True Religion Apparel. Tiffany and Coach are both known as particularly high-end retailers. This clearly shows that Apple’s unique retail philosophy of allowing users to experience products, offering a very friendly and individualized hands-on approach by staff, and value added features like free training classes and events are paying off quite handsomely. Ironically, Apple’s stores do more for the company than direct retail sales – creating brand awareness, encouraging customers to become familiar with Apple products, offering support, and so on. That makes the value of the Apple’s retail approach even more impressive since these figures don’t take into account purchases of Apple products that take place online or from other retailers. 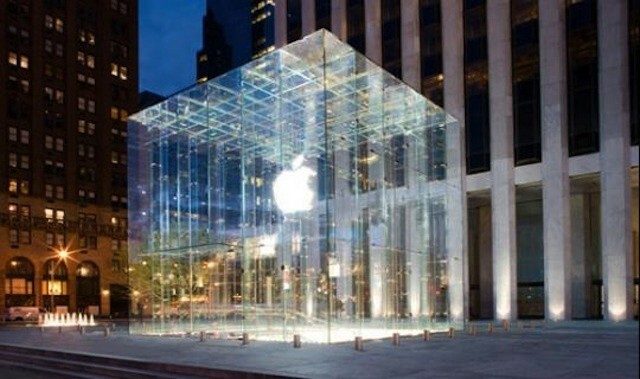 Of course, Apple hasn’t shied away from continuing to innovate in retail. The company relaunched its early stores with a new look that is all about getting customers to try out Macs, iPads, iPhones and other products and doesn’t feature anything resembling a traditional cash register. More recently, Apple reinvented retail again by enabling iPhone 4 and 3S owners to make purchases on their own using the company’s retail app. By contrast to Apple, Walmart’s average annual sales per square foot comes out to be just $414.